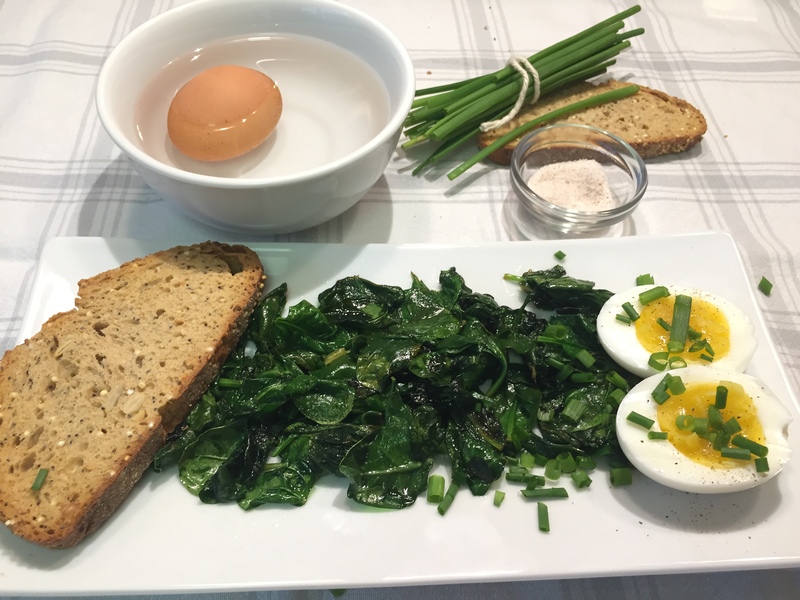 Looking to add some protein to your morning meal? 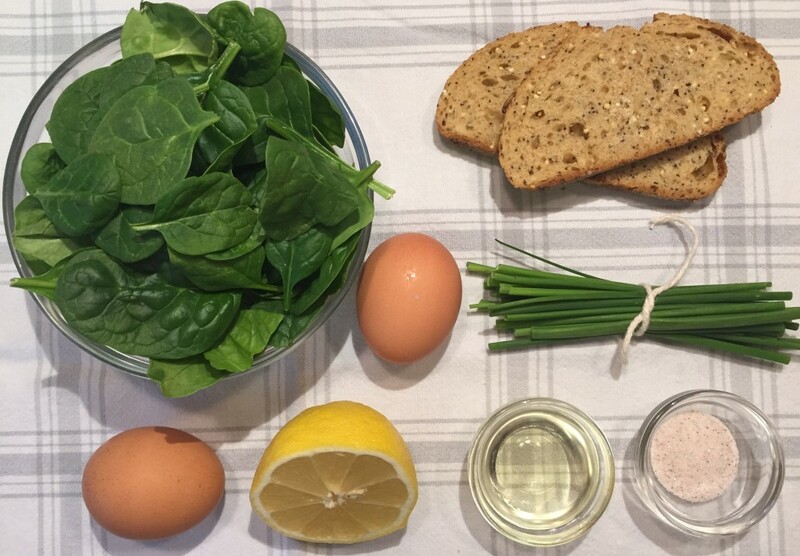 Try this quick and easy breakfast recipe with eggs and spinach. 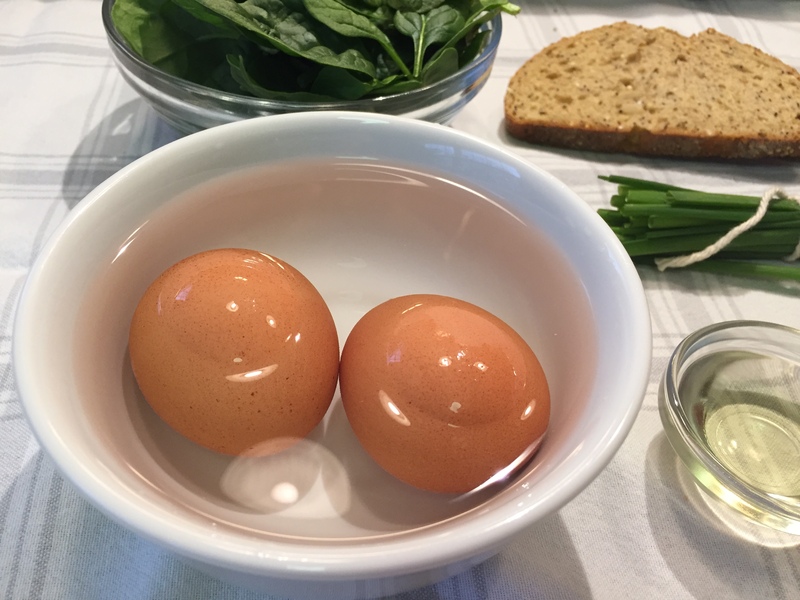 Put eggs in boiling water and cook for 6-7 minutes and chill in cold water after they are cooked for a minute. 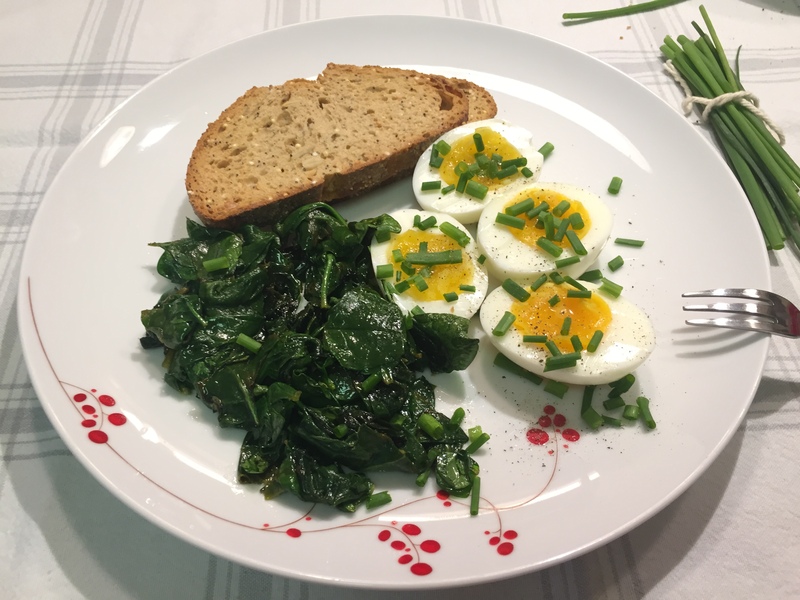 Serve immediately with the soft boiled eggs drizzled with chives and a side of the multigrain toast. 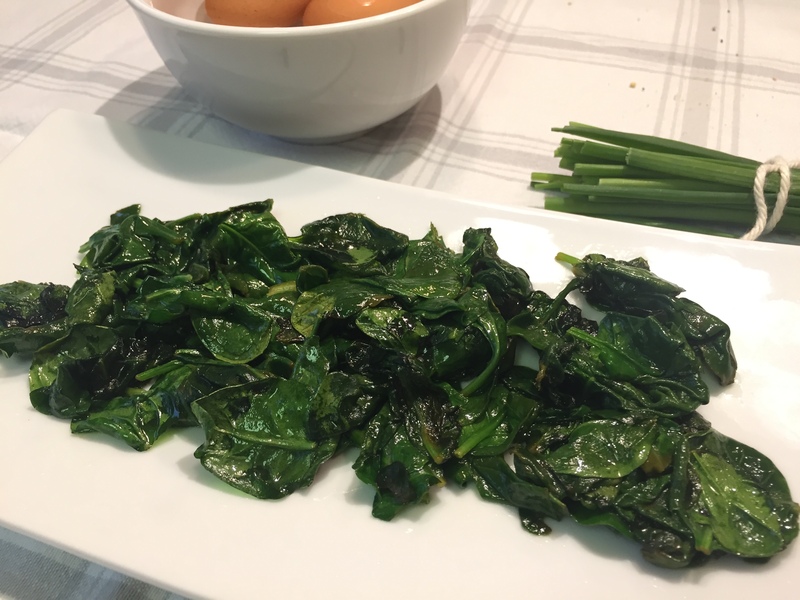 This serving has only 270 calories, 18 grams of protein, 10 grams of fat, and 24 grams of carbs. Bon Appetite!